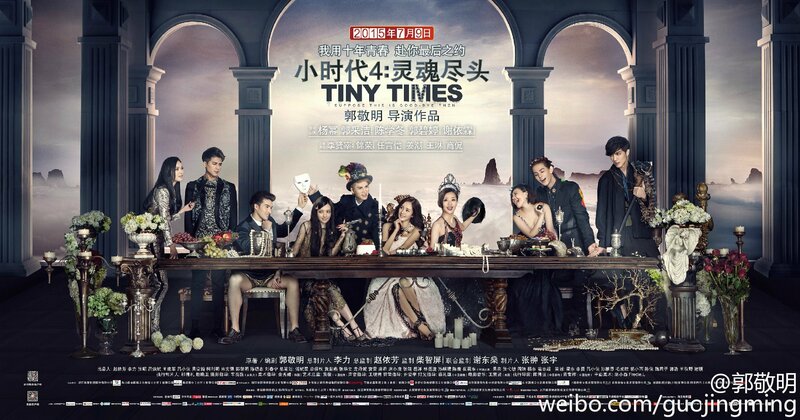 Tiny Times is not only China’s most profitable franchise, but it also has one of the best and biggest original soundtracks. The first three films so far have 19 original songs. It’s also one of the few Chinese films with good, original English songs. The latest addition is A-mei‘s theme to the finale, Tiny Times 4: Soul’s End. t The singer’s reported to have cried while recording this song. Listen to all the songs from the series in the playlist below. 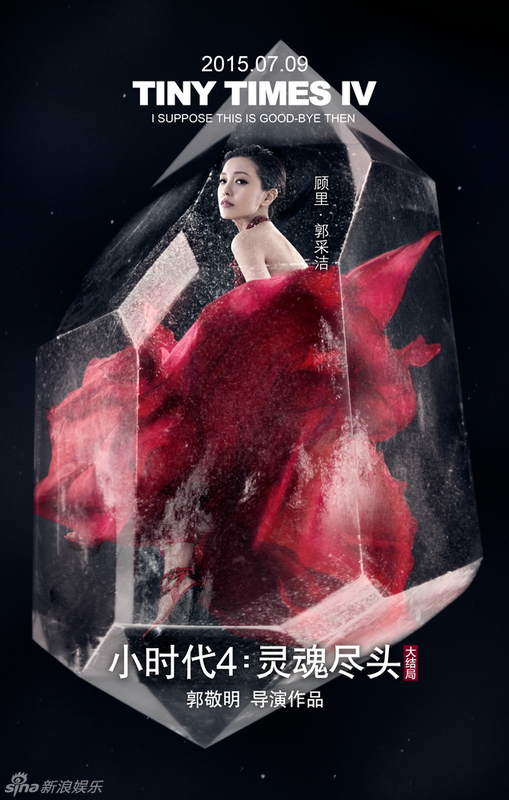 Each film has at least two theme songs by big name artists like Sodagreen, Zhou Bichang, Jolin Tsai, Wu Yifan, and now A-mei. In addition, since the first two films had eeMedia as a main investor, they had an OST with many eeMedia artists like Yu Kewei, Wei Chen, Liu Xin, and Fu Mengni. The rest of the OST is mostly done by the less famous but much more fun team of Singaporean musician Terry Tye Lee (who produced many songs for M.I.C. boyband and Vanness Wu), featuring artists like Julia Wu and Gao Kaiwei. What’s your favorite song? 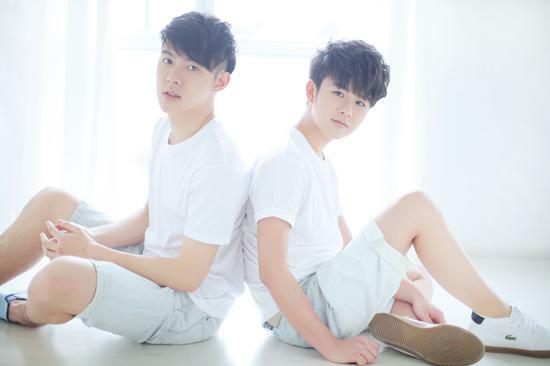 Brighten your Monday up with a fun tune from Aarif Rahman, a cute family zoo song from Fan Weiqi, a powerful rock ballad from A-mei, songs of friendship from RTA Xu Hao X Zhu Yuanbing, Ma Haisheng and M.I.C.‘s Tan Jianci. 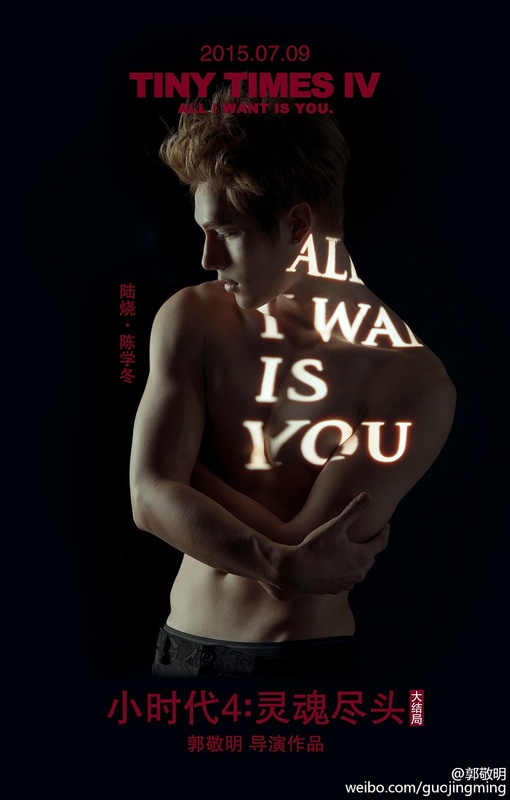 As the person who started the whole release-a-character-poster-a-day game, Guo Jingming can always be counted on with more gorgeous photoshoots than you can imagine (seriously, the musical had better photoshoots than most dramas). 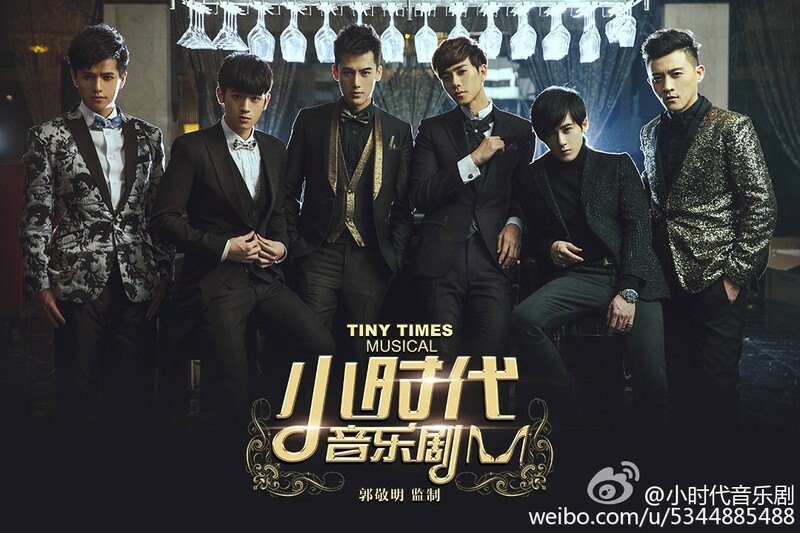 Tiny Times 4: Soul’s End 灵魂尽头 released yet another photoshoot of its male cast of Chen Xuedong, Vivian Dawon, Ren Youming, Lee Hyunjae, and Jiang Chao, this time with shirts on (occasionally). All I want is you, Jianxi and Gu Yuan. Tiny Times 4.0 must be the only film in the world to screen with both initial male leads cut out. 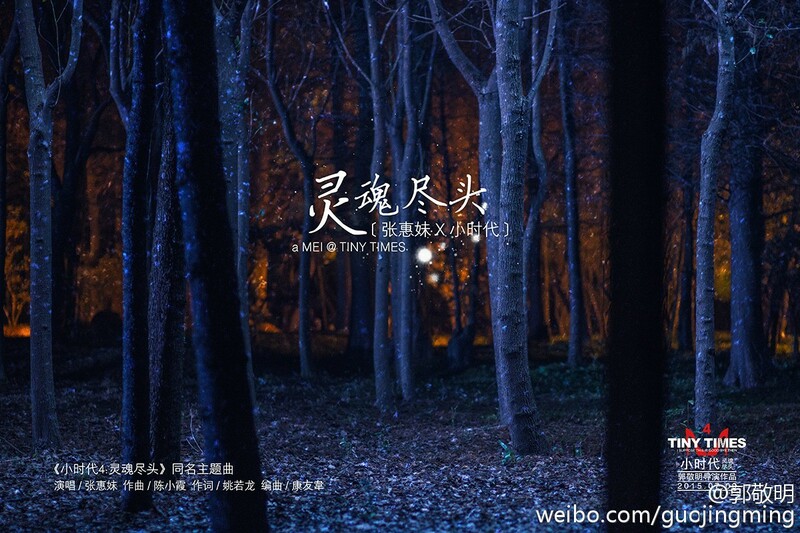 Originally set for last winter, Tiny Times 4, Soul’s End 灵魂尽头 has finally decided to move on without Kai Ko, instead releasing the film this July with him cut out. The first set of character posters was released today, featuring the five remaining male leads – Chen Xuedong, Vivian Dawon, Ren Youming, Lee Hyunjae, and Jiang Chao – shirtless. Director/producer/writer Guo Jingming is currently co-producing Oh My God 从天儿降 with Zhang Ziyi starring Chen Xuedong, Zhang Yixing (Lay), Li Xiaolu. He has also announced plans for to direct a motion capture computer-animated feature of his fantasy epic, Legend of Ravaging Dynasties 爵迹. In other Tiny Times news, Tan Jianci (Jianxi) of the musical was hospitalized last night, and had to undergo surgery this morning for a broken palm. Fellow M.I.C. member Xiaoxin flew in last week to take care of him. Get well soon, Tan Jianci! 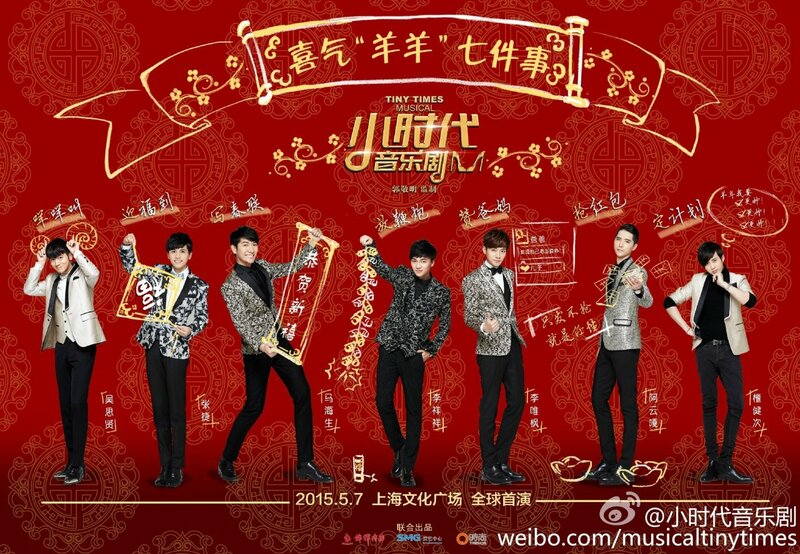 It’s ridiculous how good-looking even the musical cast for Guo Jingming‘s Time Times is. The male cast features M.I.C. Jianci, Chinese Idol winner Li Xiangxiang, singer Li Weifeng (Coke Lee), BangBangTang ex-member Wu Sixian, lead of Jin Sha the musical Zhang Qiyuan, China is Listening Third Place Ayunga (he’s my bet for Gongming), and Chinese Idol contestant Zhang Jie. H.I.T.’s Duan Huangwei will also be in this. Female leads include Nan Quan Mama‘s Lara, Super Girl Pan Chen (the first actual Shanghainese to play a Tiny Times lead), and a bunch of Chinese Idol contestants like Liu Sihan. If you wanted to see more of Amber Kuo and Rhydian Vaughan together after the first two Tiny Times films, you’re not the only one. The two will appear together in the currently filming movie One Road of Surprises (一路惊喜), portraying a couple that’s been together for the past seven years. One Road of Surprises will focus on six stories happening on Lunar New Year’s Eve, with each of the protagonists attempting to realize their New Year’s wishes. Although filming has been going on for almost half a year, not much information has been released so far, and the media was only recently allowed on set to watch a scene in which Rhydian climbs over from a neighboring balcony in order to rescue Amber and their cat from their burning residence. Thus far, four of the stories have completed filming, and it is rumored that the sixth and final story will feature a mysterious husband-wife combination. Since Fan Bingbing starred in director-screenwriter Eva Jin‘s previous two movies, Sophie’s Revenge and One Night Surprise, some suspect that Bingbing will form one half of the mystery duo, or at least deliver a cameo, but the director said they’ll publicize the news in due time. One Road of Surprises is expected to open in theaters around the Lunar New Year season next year, so check out some more cute photos of Amber and Rhydian in the meantime.